Corporate leadership speaker Tricia Molloy is an expert on employee engagement. She helps employees develop a more positive mindset to reduce stress, achieve goals and improve work-life balance. The result? A more focused, engaged and productive workforce. She is the author of Working with Wisdom and a coach for professionals who crave more success at work and in life. Tricia’s immersive, online course for project managers and HR professionals, CRAVE Your Goals! Motivate Your Team and Get Things Done, is available through Velociteach. For more than a decade, Tricia has presented customized, interactive programs on achieving goals and improving work-life balance for organizations like Marriott, Kellogg, The Home Depot, Deloitte, IBM and the Network of Executive Women. She conducts empowering vision board workshops for high-potential employees at the CDC, Verizon and EY. For companies and at conferences, Tricia produces and facilitates engaging panel discussions of internal or industry experts. Tricia started her own public relations firm, Molloy Communications, in 1988 to support the success of other passionate business owners. In 1997, while married with three-year-old twins, her husband died suddenly of a heart attack. This traumatic loss was a painful reminder of how fragile life can be and the importance of focusing our time and energy on what really matters. She vowed to make the most of every day and inspire others to do the same. That’s what led her to write her book and start her Working with Wisdom speaking, training and coaching firm in 2006. Known as “The Queen of Serene,” Tricia’s wise, peaceful presence and common-sense advice are welcome in today’s challenging, complex business environment. Through conference keynotes and breakout sessions, and employee development talks, workshops, webinars and vision board facilitation, Tricia inspires people to achieve their professional and personal goals faster and easier by capitalizing on the power of their subconscious mind and life-changing principles—like Visualization, Affirmations and Gratitude. 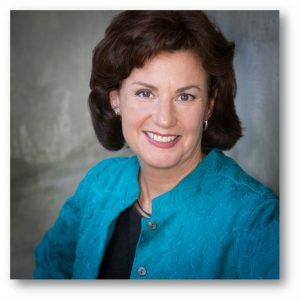 Tricia is a member of the Georgia chapter of the National Speakers Association and the Network of Executive Women where she contributes to their work-life balance blog, The Juggle, and speaks at their national conferences and regional events. A native New Yorker, Tricia earned her broadcast journalism degree from New York University and was an award-winning radio talk show producer in New York and Phoenix before becoming an entrepreneur. On a personal note, Tricia and her husband, Rick, are the parents of twins, Connor and Allyson. They live in the Atlanta suburb of Marietta with their joyful golden retrievers, Lucy and Bella. Whenever they can, they’re playing at their beach home in Gulf Shores, Ala.